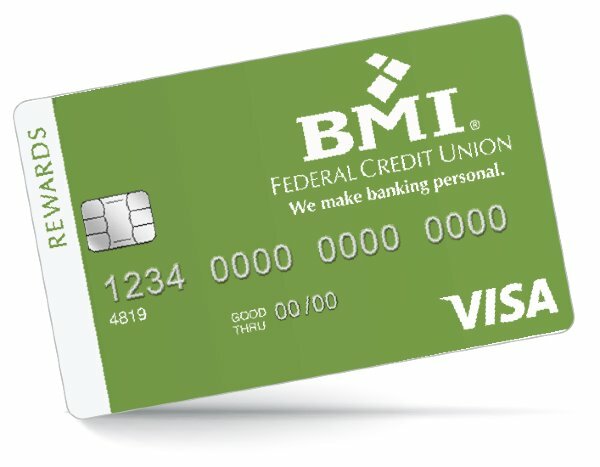 From groceries to gas, your BMI Federal Credit Union Visa Credit Card with Rewards is the rewarding way to pay, everyday. BMI FCU makes it easy for you to accumulate points, so your everyday purchases will really pay off. Use the points you earn in various ways, including free gift certificates or travel. Log in to BMI Federal Credit Union Rewards to redeem points or you can shop to earn more rewards! Not looking for a variable card with rewards? Check out our Visa Platinum Credit Card. *Visa’s Zero Liability Policy covers U.S.-issued cards and does not apply to certain commercial card transactions or any transactions not processed by Visa.You must notify your financial institution immediately of any unauthorized use. Our Visa rewards program lets you choose from a wide variety of gift card reward options. With gift cards for entertainment, shopping, dining, fuel or even prepaid cards, you’re guaranteed to find one that fits your needs. Use them for yourself, or give them as gifts! 9.90% - 17.90%, when you open your account, based on your creditworthiness.